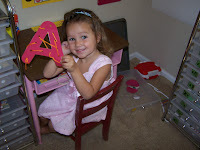 Read Chicka Chicka Boom Boom and put up the letter A on our Alphabet Tree! You can download my small alphabet letters here. Ant Number Matchup!This game is for counting practice. Cut out each ant card, then cut them in half separating the body part with the number from the part with the dots. 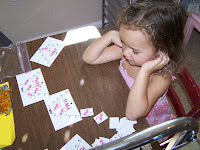 Have your child match up the cards by matching the number of dots to the card with the appropriate number on it. Ant Shape Puzzles: Simply cut these little ants in half for fun shape matching puzzles. Make sure to discuss each shape as you go! 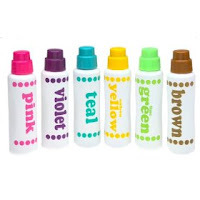 Aa Do-A-Dot Page:We use Do-a-Dot Art Markers with this! Ant Letter match: This is not only a color puzzle game, but also a capital/lowercase letter matching game, simply print out and cut the ants in half for a matching game. Roll An Anthill! Roll the die and place the piece of the puzzle indicated by the number rolled. Its a fun way to practice number recognition skills! I like these fun Giant Soft Dice. Ant Hill Counting: Here is our Anthill counting game, the goal being to put the correct amount of ants on the hill based on what the card says. Ant Coloring Page: We color this, paint it, or use markers. I found some that fit my 3 year old well, they’re called Pip-Squeaks Washable Markers, we also use Do-a-Dot Art Markers with this! Ant Size Sort:Put these in order small to big or big to small then discuss which is largest, smallest and medium. Ant Puzzle: Cut along the guides for a fun 6 piece beginner’s puzzle! Ant Lacing Card: I make sure to laminate this one for durability, then punch with a hole punch every inch or so for lacing practice. Teach them patterns to do with this as well, like up from the bottom each time, or in-out-in-out sewing. Whatever pattern you can think of. 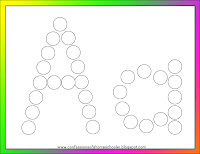 Capital/Lowercase Aa sorting:A simple letter identification game, just sort out the attached uppercase and lowercase letters. 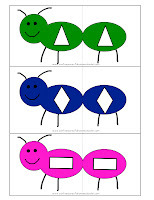 Ant Graphing: I laminate this and then have them either color in the dots with Expo Dry Erase Markers, or put bingo markers or little valentine heart candies on it. Ant Floor Numbers: I made these large floor numbers so that we can play a hopscotch type game. I call out a number and she jumps to it! You could also have them put the cards in numerical order. The number cards go from 1-10. 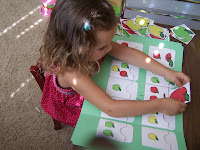 Ant Cutting Practice: Simple print and let your child try cutting along the lines! Play Balloon Volleyball: “Balloon volleyball” is basically a toddler-friendly version of regular volleyball. Kids take turns batting a balloon up in the air, with the goal of trying to keep it off the ground as it floats downward. 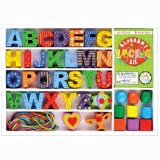 You can shout out words that start with the letter “A” each time you hit the balloon! 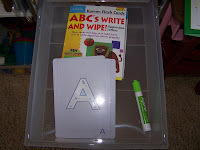 Kumon ABCs Uppercase Write & Wipe Flash Cards, they also have lowercase a-z cards and 1-30 Numbers. Family Fun Night: Have some Apples, Ants on a log, or Apricot pork chops with apple pie! I just found your blog this morning! I'm downloading your alphabet activities! I work from home in the afternoons and want to give my 3 year old some fun "learning" things to do! These are great! I can't wait to try them out! Thanks for being willing to share! Hi there! I'm from the TOS Crew myself but I'm pretty sure that I came to your blog through Homeschool Creations. That's why I was so surprised to read your blog post that you're also with TOS Crew this year.Anyway, thanks for all the ideas and great templates. This is my first day teaching my 5 year old and also first time to make a lapbook. It's a great day for us.God bless you! I just recently found your blog, too, and I'm so incredibly thankful for all the resources you offer on here! I'm just beginning preschool with my 3-year-old, so this is great timing! !Btw, I saw on a few of your posts that you mentioned buying arts and crafts supplies from different websites, and I was wondering if you've heard of Oriental Trading? They have a ton of really decently-priced stuff, including tons of craft stuff. Their website is orientaltrading.com Check them out, but be forewarned that they have so much to offer, it can be a bit overwhelming!! I’ve been trying to print some of this for weeks and I keep getting an error message (http 500). Is that an issue with my computer? 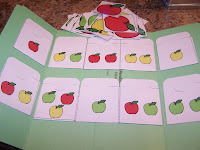 i cant find the apple math file folder game on the website link you have posted. is it not available anymore. anyone….help….thanks! I’ve been trying to download the Anthill counting game but it keeps telling me that the Link is not Valid. Do you have another link I could try?? I would really love to do this with my 3 year old! I am having a similar problem. Thank you for all of this! I cannot tell you how much it has helped me. 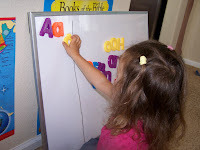 I have been researching madly on how to teach the alphabet to my 3 year old and just came across your website and absolutely LOVE all the suggestions and activities!! Thank you so much for all the effort and work you’ve put into the site!! I’ve been trying to download some of the activity sheets etc but the links on 4share are not working? I noticed that other people are having problems too?